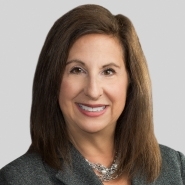 Joyce Edelman, a Partner in Porter Wright's Litigation Department, is featured as the Executive Elements' "Woman of the Week." Edelman discusses her work, what motivates her, and provides her advice to young women. Women chosen for the honor by the site are selected for their professional leadership and commitment to furthering women in the workplace.